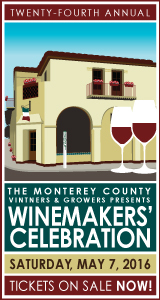 See what's going on March 8-15 in Monterey, Santa Cruz, and San Benito Counties. 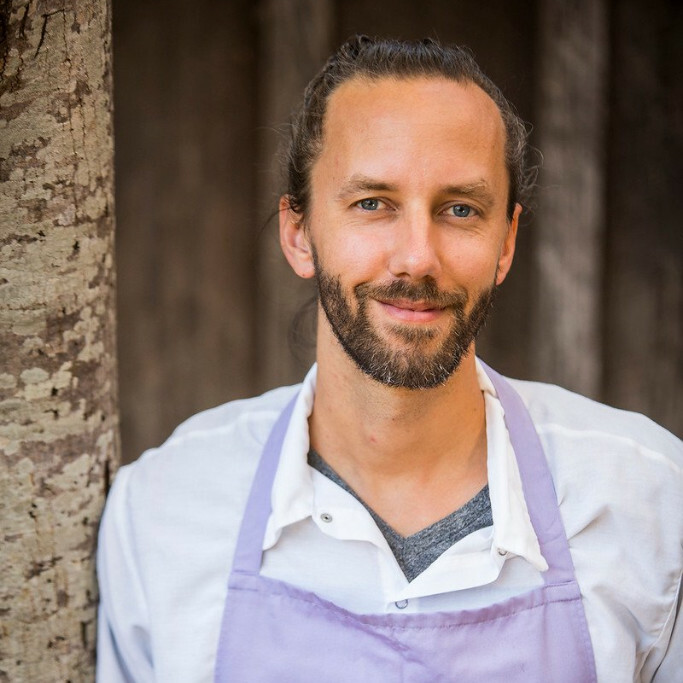 The Monterey Bay area is hard to beat, but we can't help feeling a twinge of envy for Jacob Burrell, the popular chef at Big Sur Bakery, who moved away to Bali last week with his wife Fiona and their young child. Burrell—who previously worked in the kitchens of Sierra Mar and Manresa—accepted an offer with the Potato Head Beach Club in Kuta, Bali that he wrote on Facebook he "couldn't afford to turn down." 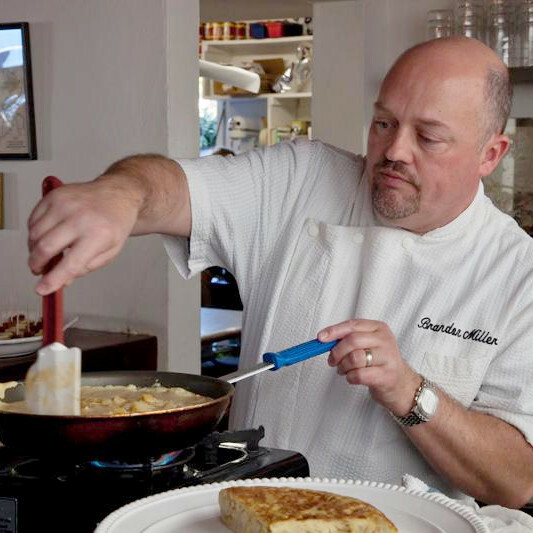 Matt Millea will be interim chef at BSB, while a search goes on for Burrell's replacement. The second restaurant for chef Geoffrey Hargrave and partner Quinn Cormier opens Wednesday in Capitola. Owners of the always bustling West End Tap are calling its new sibling East End Gastropub. It will offer the same style of American comfort food, but Hargrave has used his creativity to come up with a completely different menu that takes things up a notch with entrées like honey-cured pork belly and handmade rye pappardelle. "I'm really proud of what's happening here and the way things look," says Hargrave. Read more and see full menu here. 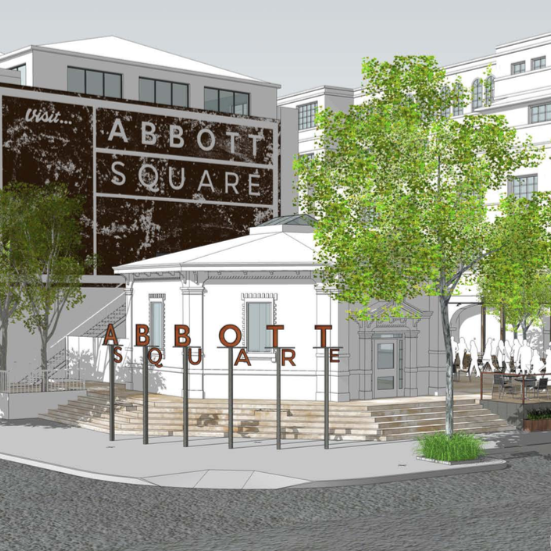 Honestly, we've never seen a week with so many restaurant openings in the Monterey Bay area. 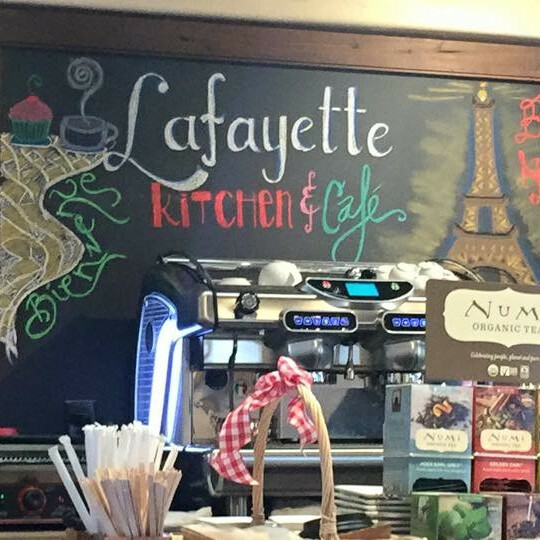 Lafayette Kitchen & Café just started serving scrumptious breakfasts and lunches from 7am-2pm daily on Dolores St. in Carmel. 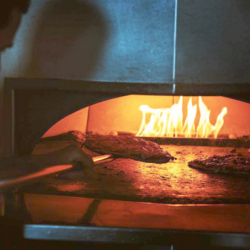 It's a collaboration between Isabel and Jean Bernard Vial—who own Lafayette Bakery at the Barnyard—and Ben Khader of Yafa Mediterranean Restaurant. Read our preview here. The long-awaited River Road Grill in Salinas is now serving lunch and dinner Wed-Mon, bringing much-needed sustenance to revelers on the River Road Wine Trail. In Hollister, local-foods caterer Mike Fisher has realized his dream and opened Fisher's Delicatessen on San Benito St. serving lunch and dinner from 11am-8pm. And last night in Carmel Valley, Wills Fargo re-opened under the direction of new chef Greg Karjala. Read our preview here. Just a few days left until our awesome spring issue release parties in Santa Cruz and Monterey. RSVP for these free events and you'll be automatically entered to win door prizes. On Thursday, March 10 from 5-7pm EMB and friends are taking over Rosie McCann's in downtown Santa Cruz. 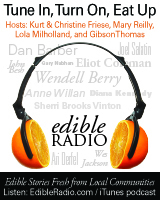 There will be plenty of appetizers, a cash bar and complimentary copies of the magazine. Click here to RSVP for Santa Cruz. 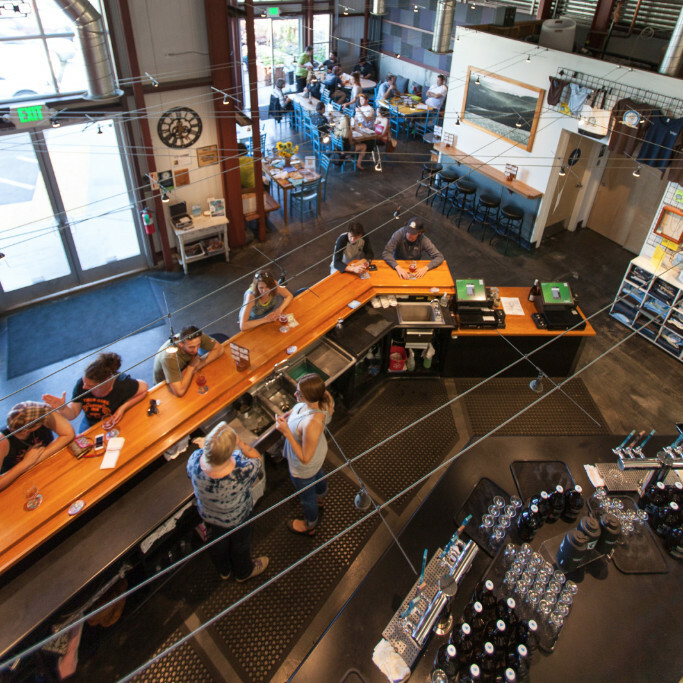 For our readers on the peninsula, we're celebrating at the Wharf Marketplace on Friday, March 11 from 5-7pm, with complimentary one-bite wonders from the chef, and local beer and wine for sale. Click here to RSVP for Monterey party. Wed, March 9 | Zeph's One Stop, 1366 S. Main St. Salinas | 5:30-6:30pm. $10. Sat, March 12 | 2703 41st Ave. Soquel | 11:30am-9pm. Sat, March 5 | Food Lounge, 1001 Center St. Santa Cruz | 5:30pm. Tues, March 15 | Monte Verde & 7th | $110. Wine Down Wednesday with La Cana/Zerran Tarpy's Roadhouse, 2999 Monterey-Salinas Hwy, Monterey | 5-7pm. Free. Winemaker Wednesday with Odonata Shadowbrook, 1750 Wharf Rd. Capitola | 5-8pm. Free. National Paella Day with Chef Brandon Miller and Twisted Roots Wine Zeph's One Stop, 1366 S. Main St. Salinas | 5:30-6:30pm. $10. Entertaining with Friends - Duck, Duck, Goose Stone Creek Kitchen, 465 Canyon del Rey, Monterey | 6:30-9pm. $75. Meeting on Ballot Initiative to Ban Fracking in Monterey County Museum of Natural History, Pacific Grove | 7pm. Taste It Thursday with Silvestri Vineyards Wharf Marketplace, 290 Figueroa St. Monterey | 4:30-6:30pm. Free. EMB's Spring Issue Release Party Rosie McCann's, 1220 Pacific Ave. Santa Cruz | 5-7pm. Free. 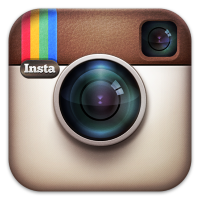 Artisan Food Market Food Lounge, 1001 Center St. Santa Cruz | 4-8pm. 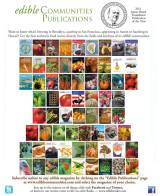 EMB's Spring Issue Release Party Wharf Marketplace, 290 Figueroa St. Monterey | 5-7pm. Free. Greenhouse Skills, Starting Plants from Seed UCSC Farm, Santa Cruz | 9:30am-3:30pm. $125. Intro to Homebrewing Class Seven Bridges Cooperative, 325A River St. Santa Cruz | 11am-3pm. $50. Second Saturday on the Farm Santa Cruz County Fairgrounds, Watsonville | 11am-3pm. Free. 3rd Anniversary Party Discretion Brewing, 2703 41st Ave. Soquel | 11:30am-9pm. Growing Root Crops Love Apple Farm, 2317 Vine Hill Rd. Santa Cruz | Noon-4pm. $59. Bar TAKEOVER with guest bartender Tabitha Stroup Food Lounge, 1001 Center St. Santa Cruz | 5:30pm. Pac Rep's Bohemian Revel Quail Lodge, Carmel | 6pm. $200. Food Truck Brunch with Food Trucks a Go Go Skypark, Scotts Valley | 11am-1:30pm. Fruit Trees Sijmplified Love Apple Farm, 2317 Vine Hill Rd. Santa Cruz | Noon-4pm. $59. St. Patrick's Celebration and Release of "A Proper Pink" Boony Doon Vineyards Tasting Room, 450 Highway 1, Davenport | 1-4pm. Free tastes. 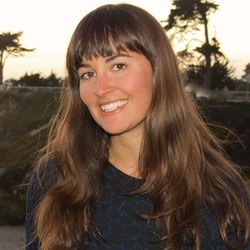 Pasta, Pizza and Professionals Lecture with Trina Hammack on Hidden Stressors, Cellular Inflamation and Detox Cibo Ristorant Italiano, 301 Alvarado St Monterey | 5:30-10pm. 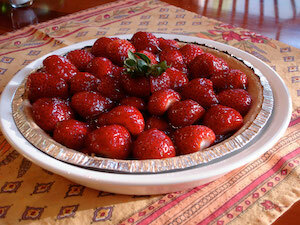 Homemade Gluten-Free Pie Workshop New Leaf Market, 1101 Fair Ave. Santa Cruz | 6:30-8pm. $35 or $60/two. Sourdough Breakmaking Quail Hollow Kitchens, 235 Crown Dr. Ben Lomond | 1-4pm. $65. 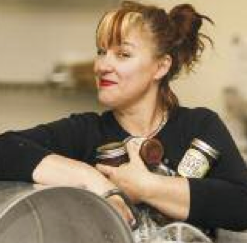 Cheese and Dairy Ferments Happy Girl Kitchen, 173 Central Ave. Pacific Grove | 5-8pm. $95. 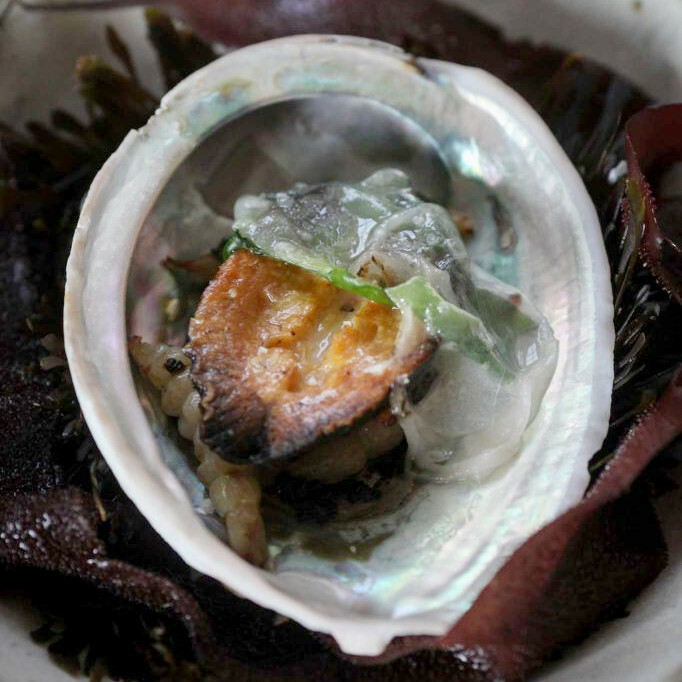 Terroir Dinner: The Story of Abalone Aubergine, Monte Verde & 7th, Carmel | $110. Local strawberries are beginning to make an appearance at the markets, so here's a sweet idea of what to do with them from our friends at New Leaf Community Markets. They are into food more than mathematics, but to celebrate National Pi Day on Monday, March 14, the westside New Leaf is holding a pie making class with nutrition consultant Madia Jamgochian, who will teach participants how to make gluten-free seasonal pies from scratch, including lemon meringue, strawberry cream and apple marzipan. Find out more and register here. In a food processor, or with an electric mixer, cream together the cream cheese and lemon juice until it has a soft, frosting-like consistency. Spread into the bottom of a 9” baked pie shell. Pick out the largest berries of the bunch, remove tops, and press into the cream cheese bottom. Dice up remaining strawberries, and add to a medium sauce pan. Cook berries over medium heat, adding sugar and cornstarch (combine dry ingredients together first, or it will clump). Stir with a wooden spoon until strawberry mixture becomes thick and clear in color. Pour hot strawberry filling into your prepared cream cheese pie shell. Chill in refrigerator until set, at least 2-3 hours. Cantinetta Luca bustles with culinary activity. The passion of executive chef and partner Jason Balestrieri’s passion is apparent in every detail. All of the pasta, bread, sauces, dressings and marinades at Cantinetta Luca are made in-house everyday using authentic, imported Italian goods and fresh, locally-sourced produce. Growing up in the Midwest, Balestrieri was immersed in his family’s Italian culinary traditions. After receiving his Culinary Arts degree from the Milwaukee Area Technical College, he moved from a neighborhood café to a reputable hotel where he trained as line cook and pantry cook. 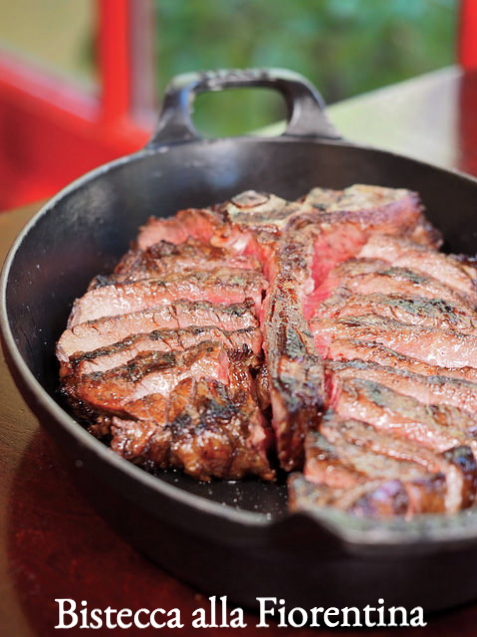 In 1993, Balestrieri relocated to southern California to work at Pinot Bistro under chef and founder Joachim Splichal and executive chef Octavio Beccara. He advanced through the ranks at Twin Palms in Pasadena, under chef and owner Michael Roberts, before landing as executive chef at the Twin Palms in Valencia. 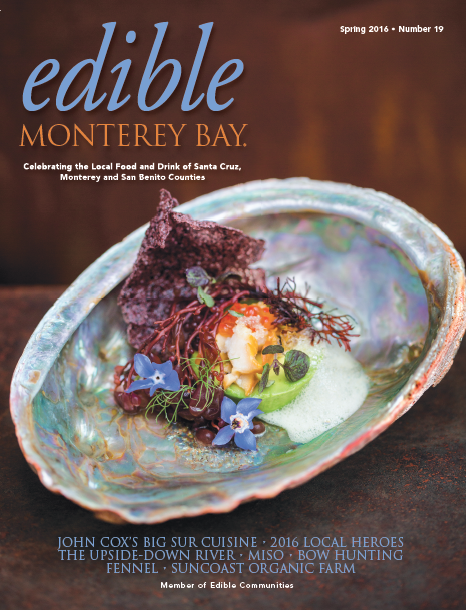 Get your subscription of Edible Monterey Bay delivered right to your door. Be a part of this community-minded publication. 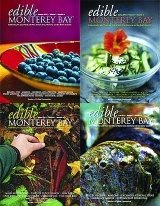 Find the latest copy of Edible Monterey Bay at location near you. 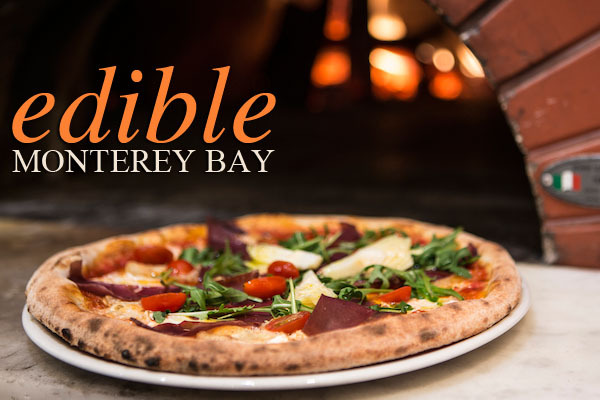 Copyright © 2016 Edible Monterey Bay, All rights reserved.